“This is about survival!” a thin, twitchy guy named Axel yelled in my face, and it was at that very moment I knew he was going to die. And he did. Like some sort of gruesome magic trick, an enormous spike burst out of Axel’s chest. He looked down at it with probably a great deal more shock than I did. I know the rules. I know you can’t say “This is about survival,” in a horror game without an ironic death shortly thereafter. Apparently Axel wasn’t a fan of the genre. Sevastapol station, the scene of the action in Alien: Isolation. And Creative Assembly made the most of that name. “It’s Alien, not Aliens,” they repeated over and over. 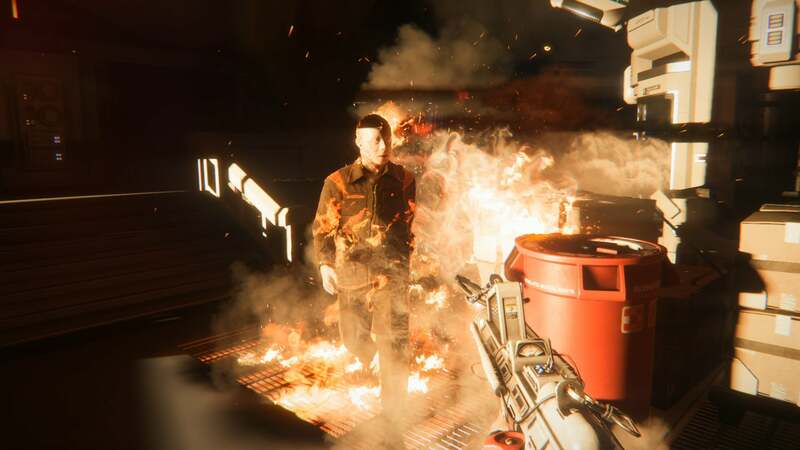 Isolation was meant to shy away from the excess of Colonial Marines, instead opting for a tense first-person survival horror experience, replete with a deadly and (above all) smart alien that hunted poor Amanda Ripley around the creaking corridors of the space station Sevastopol. It’s an excellent premise—reestablish the alien as a foreign and fearsome foe, cold and emotionless. You spend most of Isolation crouched, frantically crawling from hiding spot to hiding spot and hoping against hope you can make it to the next save point. 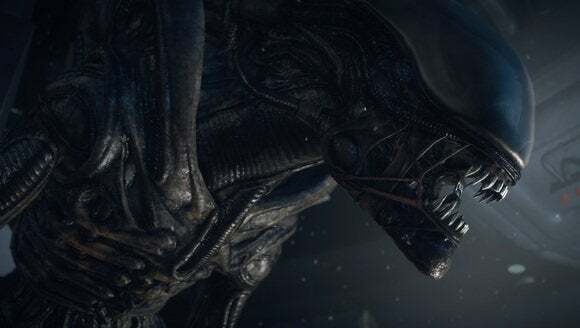 This is the best alien in any Alien game, no question. The way it slinks out of a vent is unnerving, and seeing its tail flick mere inches from your feet can stop your heart. The cat-and-mouse feel of slipping in and out of vents, hiding under tables and tip-toeing around corners—when Isolation is at its best, it’s fantastic. But when it’s not, it’s dumb. While the game creates a tremendous sense of tension when it’s firing on all cylinders, much of Alien: Isolation comes down to brute-force slogging your way past an AI that’s just random enough to be annoying. 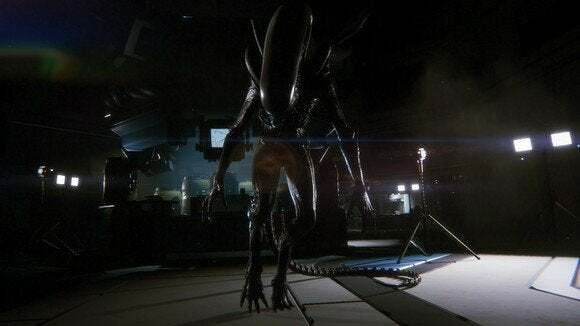 You’ll hate the alien when you’re in the middle of rounding a corner and hear it drop out of a vent behind you with no warning, dying before you can even turn around. You’ll wonder why the alien can’t hear you noisily cutting open that door panel with a plasma torch but it comes sprinting when you knock over an empty gas canister. You’ll grimace when the alien cheats—when you leave the alien behind, walk through a doorway, and find the alien already waiting in the next corridor. You’ll be confused when the alien comes up, stares directly through you and then inexplicably walks away, leaving you waiting for a death that never comes. You’ll even laugh, the rare few times the alien’s animations break and you remember you’re playing a video game. The sad part is that all these flaws are forgivable in levels where the save system is similarly forgiving. Rather than checkpoints, Alien: Isolation makes use of a save point system. Periodically you’ll run into “Emergency” call boxes in Sevastopol. You have to activate one of these boxes to save the game, a system devised to raise the tension. It works, but only when Isolation isn’t punishing you for trying to play. Certain levels are fine—an abundance of save points, coming at important intervals and establishing a just-right feeling of “will I find a call box in time?” dread. Others, you’ll go twenty or thirty minutes without seeing a save point. There were multiple nights I finished playing Isolation on a low, quitting not because I’d reached a good stopping point but because I was exhausted of retreading. 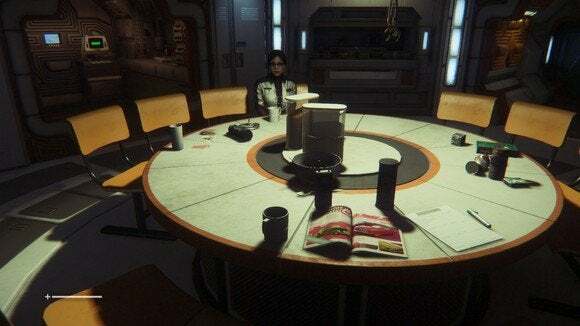 The best part of Alien: Isolation is the superbly crafted world. Despite the title, the alien part of Alien: Isolation is the least interesting. The real star of Isolation isn’t slinking around the ship—it is the ship. Sevastopol is a tour de force, from every 1970’s-style computer terminal to the stupid drinking birds on people’s desks. The best parts of Isolation happen when the alien disappears, giving you time to simply wander around and take in the set dressing. 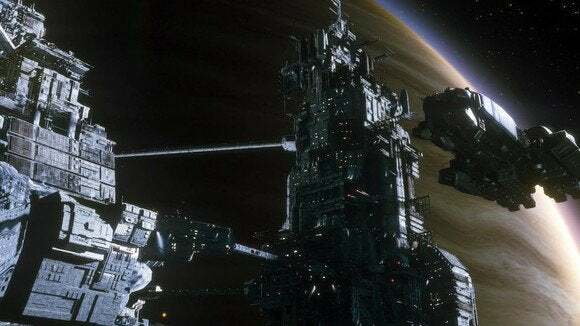 And that includes the station’s Working Joes, the android creations of Seegson Corporation, rival to the infamous Weyland-Yutani. “You always know a Working Joe,” the androids repeat ad nauseam, and indeed you do—their creepy, glowing white eyes stare right into your soul. Fire ain’t no deterrant for a Working Joe. Beneath the surface-level tale of Amanda Ripley, the Nostromo, and how the alien reached Sevastopol is a darker, grittier tale of corporate subterfuge and capitalism gone wrong. The alien might be more impressive visually, but the Seegson undercurrent is a far more interesting story, not least because we haven’t already seen it before in this universe. Unfortunately, Isolation is ultimately hurt by its own ambitions. With two stories running parallel plus a fairly enormous ship to explore at the speed of your fastest crouch (a.k.a. not fast) Isolation starts to really drag towards the end—and this despite the fact that it largely abandons stealth at numerous points in the latter half. I think the saddest part is there are all sorts of Metroid-style “You should come back to this later!” areas that you’re most likely never going to head back to because doing so is inviting another few hours of deaths-by-alien. 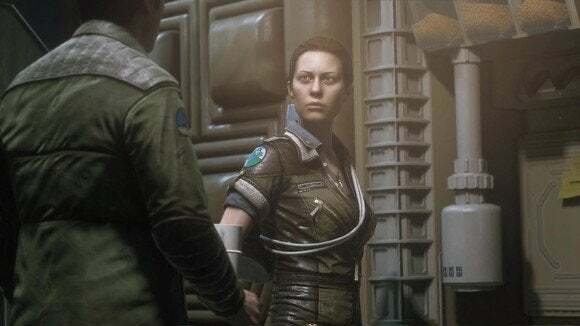 You play as Amanda Ripley, daughter of Ellen Ripley—star of the Alien films. The story also goes off-rails near the end, as if someone at Creative Assembly realized what was there wasn’t enough to prop up the game’s bloated length and tried to inject new elements, but they don’t work as well as hoped. An overlong spacewalk section is chief offender, but there are quite a few dismal chapters towards the conclusion that drag down an otherwise fantastic game. 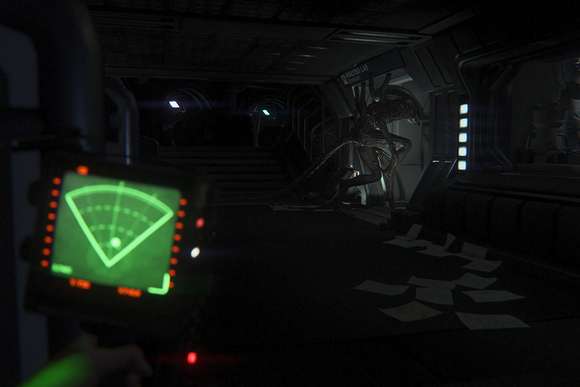 Alien: Isolation is the best Alien experience since 1986 and Aliens. It’s that simple. I’ve got issues with the game, particularly with the save system and the game’s length, but Isolation sets itself apart with a stunning recreation of 1970’s retrofuturism that captures the feel of Ridley Scott’s original film better than any movie or game in almost thirty years.